A Japanese comb tool is used to create and enhance the throwing lines. The high gloss glaze references the porcelain in its wet state, while the bronze rim detail brings individuality to each piece. 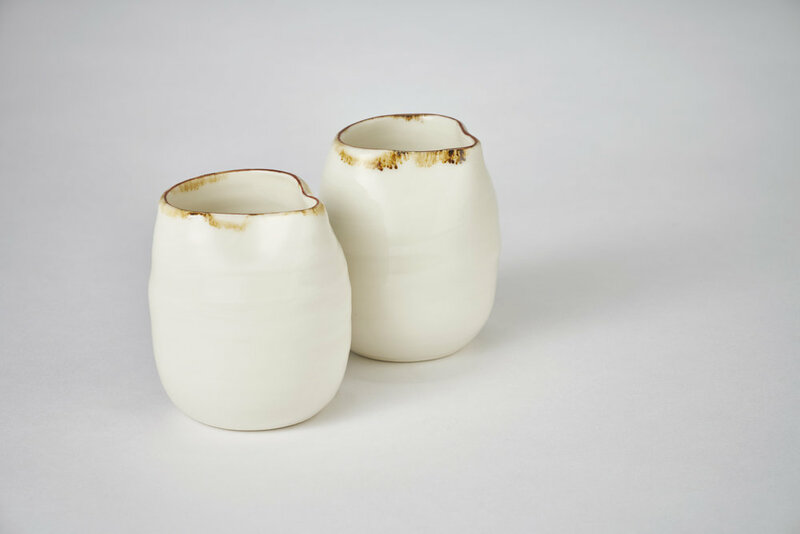 The bronze lustre rim studio porcelain pieces are reminiscent of simple classic Japanese forms. Specific brushes are used to highlight detail and line. 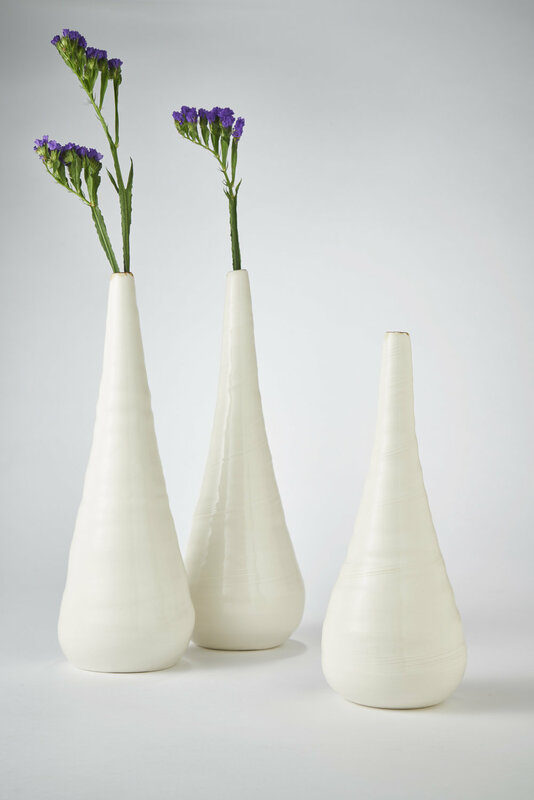 The pieces are fired three times to achieve a gloss glaze and contrasting oxide and bronze lustre rim detail. 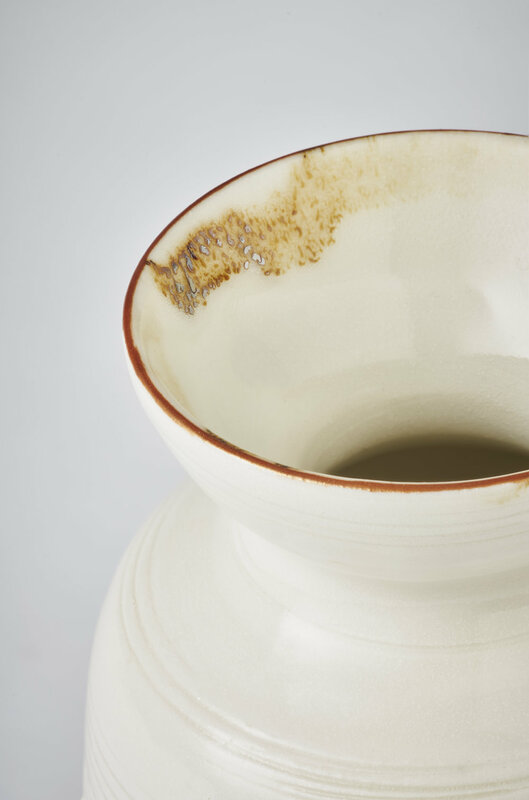 Some pieces are also fired with a dolomite glaze, and finished with an oxide and bronze rim which emphasises the subtlety of the collection. The Turitella vases echo childhood memories of beachcombing, which Kirsty loved, to find tower shells. 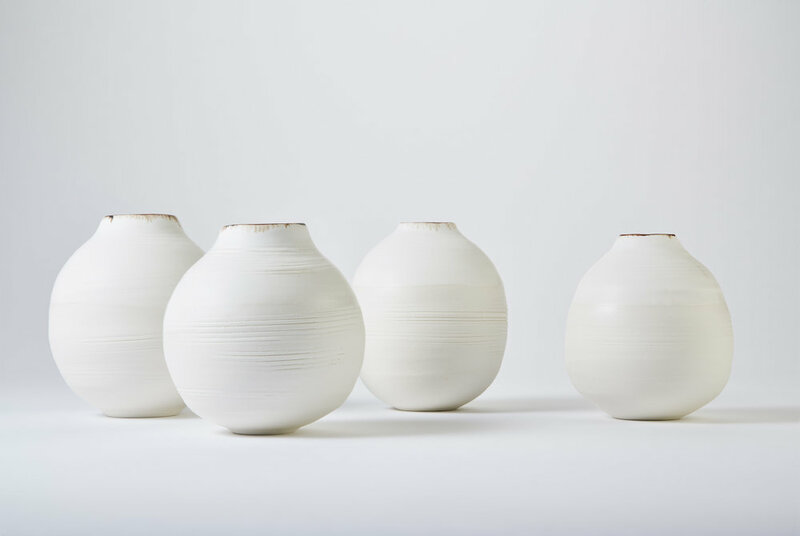 The inspiration for my Iceland collection comes from a fusion of my passion for exploring oriental forms within ceramics, this time the moon jar form from Korea, and a recent research trip I made to Iceland. I journeyed from the extraordinary lava landscape of the Reykanes Peninsular to the black basalt sand beaches of Vik in Southern Iceland. I am reflecting the otherworldliness of the landscape through layered glazes, whilst also celebrating the purity of the moon jar clay form. I am using a combination of white porcelain, black porcelain and black stoneware clays and green and blue oxide coloured glazes to emphasise the contrasting and dramatic landscapes of Iceland. Each piece has both spontaneity and individuality, with intuitive throwing lines and incidental marks of glazing. 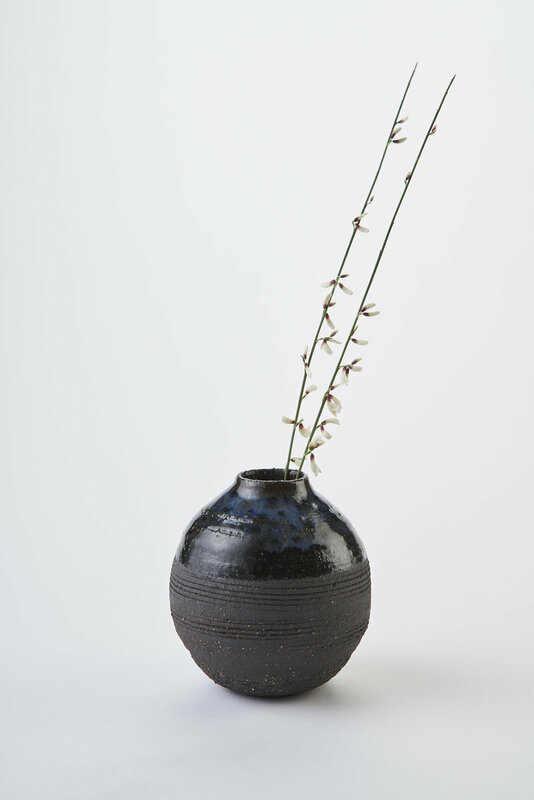 The pieces have their origin in the simplicity of Japanese forms, with a gloss glaze and a beautiful copper rim. 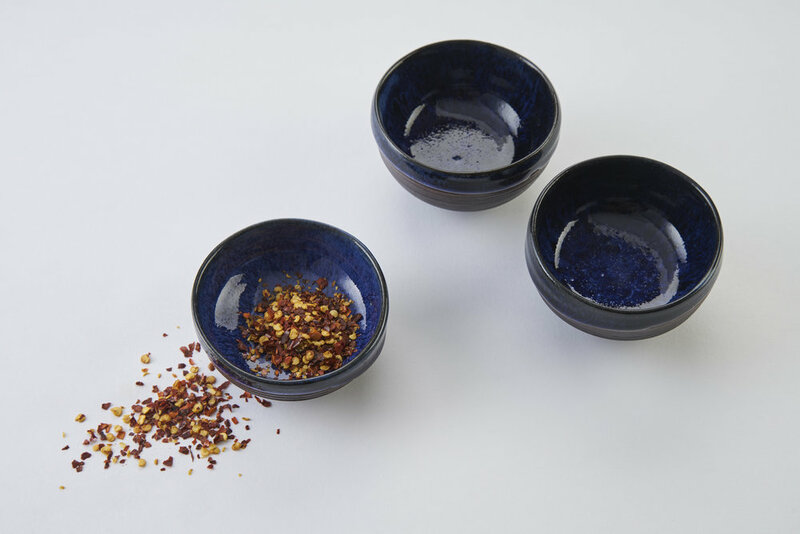 Kirsty is influenced by the simplicity of Japanese ceramic forms and the intuitive glazing approach of Japanese traditional ceramic masters, for example Fujita Oribe.